Nintendo's "Rhythm Heaven Fever" was released in the United States, but many popular Japanese rhythm games aren't. This week, a Japanese game company announced it is making "AKB48+Me," which features the enormously big-in-Japan all-girl pop group AKB48, and gives the player a chance to rock out right alongside them - as a member. It's meltdown-worthy for fans of J-pop, but "idol simulation" is just the latest in the long line of games that bring together music and motion - and never made it to the United States. It's not unusual to find plastic guitars and drums in American living rooms these days. "Rock Band" is massively popular with gamers and nongamers alike, and Nintendo of America recently made a move to localize several entries in its "Rhythm Heaven" series, which has been a beloved franchise in Japan for years. But so far, its 2 million in sales doesn't quite compare to the 75 million in Japan. American gamers have gotten pretty good at jamming Metallica and Van Halen, but when a Japanese gamer goes into the zone while playing an arcade rhythm game, there are flying hands and speeds that seem beyond human capability. The truth is that rhythm games were born in Japan, and evolved a bit differently in the United States. 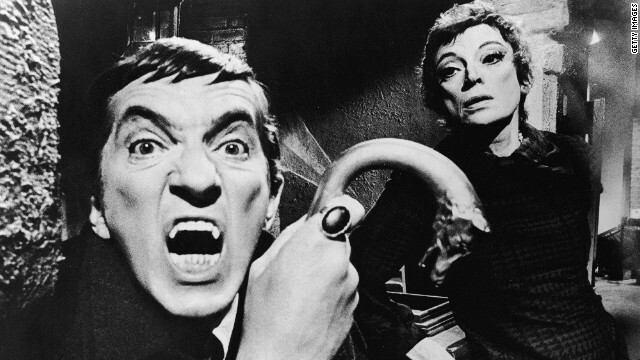 Jonathan Frid played vampire Barnabas Collins on "Dark Shadows" from 1967 to 1971. Frid died Saturday at age 87. Before "Angel," before "Vampire Diaries'" Damon and Stefan, and before "True Blood's" Bill, there was the original television vampire: Barnabas Collins. Jonathan Frid, who portrayed the character on the soap opera/horror series, "Dark Shadows" from 1967 to 1971 - the film adaptation of which hits theaters on May 11 - died on Saturday at the age of 87. "I am so grateful that nearly five decades later, Jonathan, David Selby, Lara Parker and I were invited to play cameos in the new 'Dark Shadows,' directed by Tim Burton and starring Johnny Depp as Barnabas Collins. How wonderful for the four of us to work together again and celebrate the legacy of 'Dark Shadows.' I won’t ever forget the moment when the two Barnabas Collinses met, one in his late 80s and the other in his mid-40s, each with their wolf’s head canes. Jonathan took his time scrutinizing his successor’s appearance. 'I see you’ve done the hair,' Jonathan said to Johnny Depp, 'but a few more spikes.' Depp, entirely in character, replied, 'Yes, we’re doing things a bit differently.'"